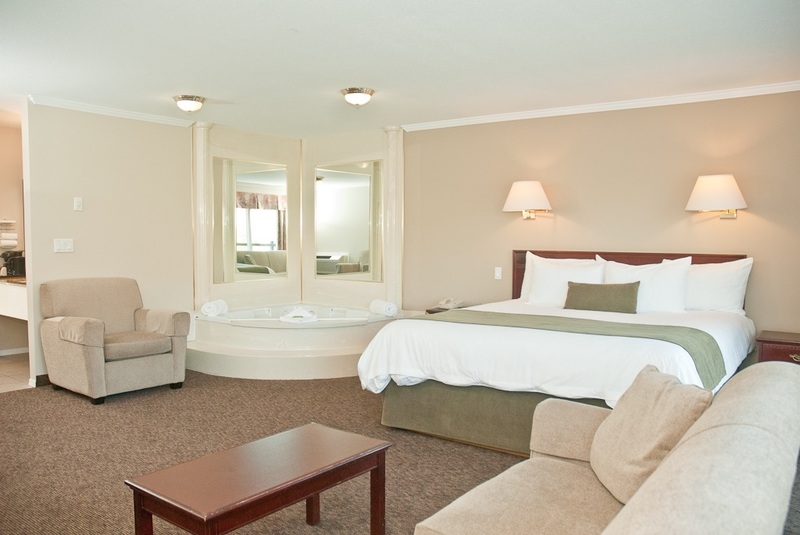 Executive suite with king size bed and deluxe Jacuzzi. This room has a balcony overlooking the river and excellent views from all windows. All come equipped with cable TV, free wireless Internet access, hair dryer, desk, individually controlled air conditioning and heating and wake-up service. © Copyright 2015 Riverland Inn and Suites, Kamloops BC.